Our History – Hopkins Raspberry Festival! The Hopkins Raspberry Festival is made possible by our volunteer’s dedication, local businesses donating their time, services and financial contributions and all those that continue to return to enjoy the events each year. To all of you, thank you! 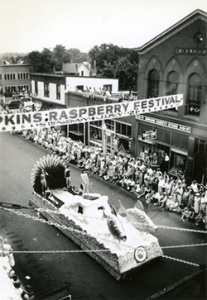 Each year people who work or live in Hopkins have the opportunity to participate in the festival and can choose to run as Raspberry Festival Royalty. This tradition began at the first Raspberry Festival with the crowning of a Raspberry Queen and her court, who were all daughters of a raspberry farmers. We now have a nine member Royal Family that includes three young women, ages 17-25, four children, ages 6-9, and two seniors who are over age 55. The Royal Family serves for an entire year traveling to other city’s celebrations representing the community of Hopkins and act as ambassadors encouraging them to visit Hopkins. 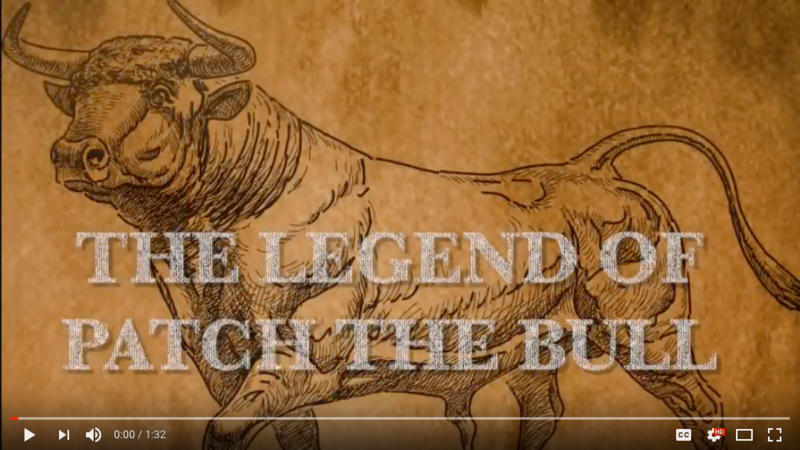 Why the Running of the Bulls? The Hopkins Running of the Bulls commemorates the legendary day in Hopkins when the father of the raspberry industry in Hopkins, John Feltl, Jr., lost control of the bull that was pulling a cart of raspberries down Mainstreet. On this record harvest day, the raging bull ran down the street causing the citizens to scatter and run. It turns out the bull was just scared and went straight back to the farm. It created a lot of excitement that day, but nobody was harmed. 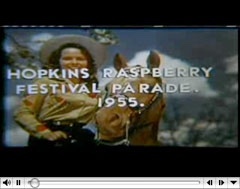 With enthusiasm, the Hopkins Raspberry Festival began during the depression as a way to boost business in Hopkins. Art Plankers, a pioneer Hopkins food merchant is credited with suggestion of “raspberries” for the theme. About 75 Hopkins businessmen and farmers were organized and July 21 was chosen as the day to hold the festival, to coincide with the peak of the raspberry-picking season. The Hopkins Raspberry Festival has become a Twin Cities institution, held in the middle of July. The raspberry fields are long gone, but the town has cause to celebrate anyway and so it does. Reproduced with permission from Bev Ewing, author of Hopkins Through the Years. Photos courtesy Hopkins Historical Society.